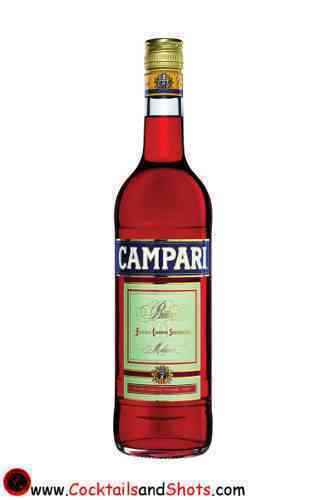 Campari is an Italian alcoholic liqueur made from the infusion of herbs and fruit in water and alcohol. Campari has a dark red color and a bitter taste. Some well know cocktails with campari are the Negroni, the Americano and Laughing at the Waves. Looking for shooters with campari? Try the Absolut Testa Rossa.